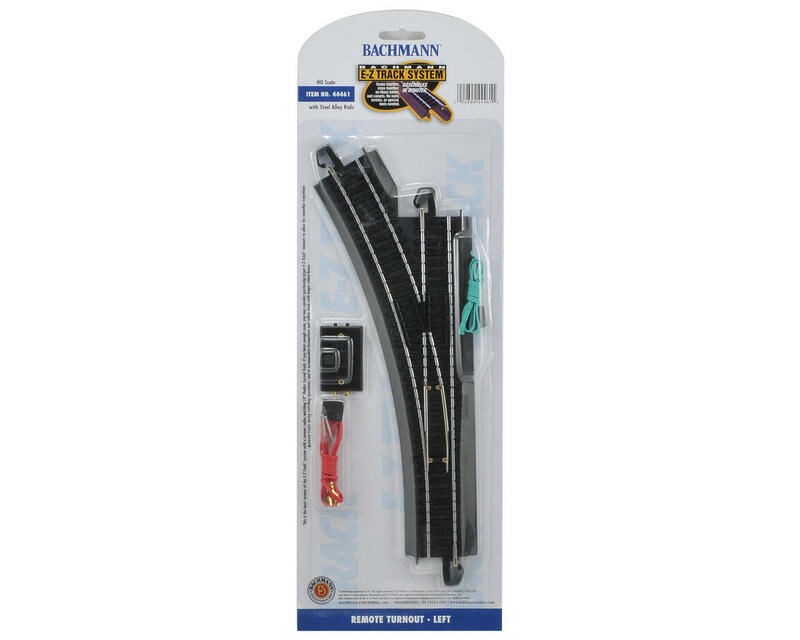 This is a Bachmann HO-Scale E-Z Track Steel Remote Left-Hand Switch. This is the basic turnout of the E-Z Track system with a turnout radius matching 18” Radius Curved Track. If you have enough room, you may consider purchasing larger E-Z Track turnouts to allow for smoother transitions between tracks during switching operations, and to accommodate locomotives and rolling stock with longer wheel bases.